In the past 15 years, a website which began as a ‘hot or not’ rating game for female Harvard students has become a $500 billion social-media behemoth with the power to disrupt global politics and send content viral overnight. While we can debate the merits of Facebook and social media until the cows come home, it’s safe to say the platform has become a defacto directory and pseudo homepage for businesses all across the world. But over the last six years or so, some businesses believe Facebook has become less useful for making sales and engaging with customers, as algorithmic shifts have drawn business pages out of the spotlight and rewarded clickable and shareable content above all else. Others still swear by the platform — as long as you’re willing to open your wallet. Circa 2012, small businesses were getting the hard sell on the benefits of having a Facebook page and using it to market and sell their products; they were told the social-media platform could be an entirely new sales channel they could leverage effectively for free. This led to SMEs promoting their Facebook pages to customers at every turn, with business cards, posters and pop-ups demanding they ‘Follow us on Facebook’ — some to dubious efficacy. For Jon Burrell, co-founder of national camping goods retailer Tentworld, the golden days of Facebook have definitely passed. He tells SmartCompany Tentworld jumped on the Facebook bandwagon in 2012, and found it useful at the time. “For the first few years, it was reasonably easy to engage with our audience. We were pretty well publicised, and the posts we’d make were seen by the majority of our followers,” he says. But the success was short-lived, as Facebook’s now-infamous algorithm started to change how posts were ranked in users’ feeds, with each change going largely unexplained due to the company’s desire to maintain its competitive edge. These changes have seen posts by friends and family prioritised above all others, and posts from business and media pages committed to the algorithmic sin bin. Now, as Burrell explains, Facebook has become an “investment” more than anything else. “Now when you make a post you really need to boost it to make it worth your time, or if you want anyone to actually see it,” he says. Burrell says he wouldn’t recommend a new business to invest in Facebook when starting out, but also recognises some businesses have seen significant success when using Facebook as a sales platform. “If you’re very on trend you probably wouldn’t need to spend so much. It’s probably a bit easier to sell swimwear on Facebook than camping goods,” he laughs. One such ‘on trend’ business is Smart50 finalist FitMyCar, which manufactures and sells a range of different accessories for cars. Marketing manager Luke Samuels says the business started seriously using Facebook about 18 months ago and has seen a “definite spike” in revenues since then. 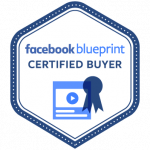 However, these results haven’t come without a cost, as FitMyCar invests “fairly heavily” in Facebook ads, more than it invests in other advertising platforms. “These ads really let us target who we want and attract growth beyond our usual audiences,” Samuels tells SmartCompany. That ability to target specific users and subsections of the market is one of the main draw cards for small businesses selling via Facebook, according to social-media expert Dionne Lew. “The enormous pool of data that Facebook owns allows for highly targeted campaigns that can be segmented to the finest detail which again allows a small business to use its limited dollars well and get strong results,” she tells SmartCompany. And while these trendy businesses have benefitted from Facebook’s similarly trendy audience, a ban from the company on any advertising relating to hemp products clearly shows the reaches of a company’s trendiness can only stretch so far. For businesses who aren’t keen to splash their cash on boosting their Facebook posts, the results are likely to be lukewarm, depending on your industry. “Some companies can do organic really well, find a message and content that cuts through to customers. But that usually depends on what industry you’re in, it kind of lends itself to beauty or fashion industries,” Samuels says. Burrell agrees and says while his company is effectively “idling” on Facebook, it’s still a useful platform to allow customers to check out Tentworld before committing to a purchase. “We participate [in Facebook] to show we’re still in business. It’s a place for people to check on us,” he says. And for all the controversy the platform has faced over the past two or so years, it looks like it’s unlikely to shift how businesses use it, with Samuels saying as long as there are customers, the platform will thrive. “I think it’s ingrained in everyone’s lives, so as long as people still use it regularly, businesses will still get behind it,” he says. The constant change of algorithms and misuse of customer data might upset some users, but Lew believes this is the “new normal” for social media platforms, and both users and businesses will continue to see it shift and adapt. “It’s just how it is,” she says.